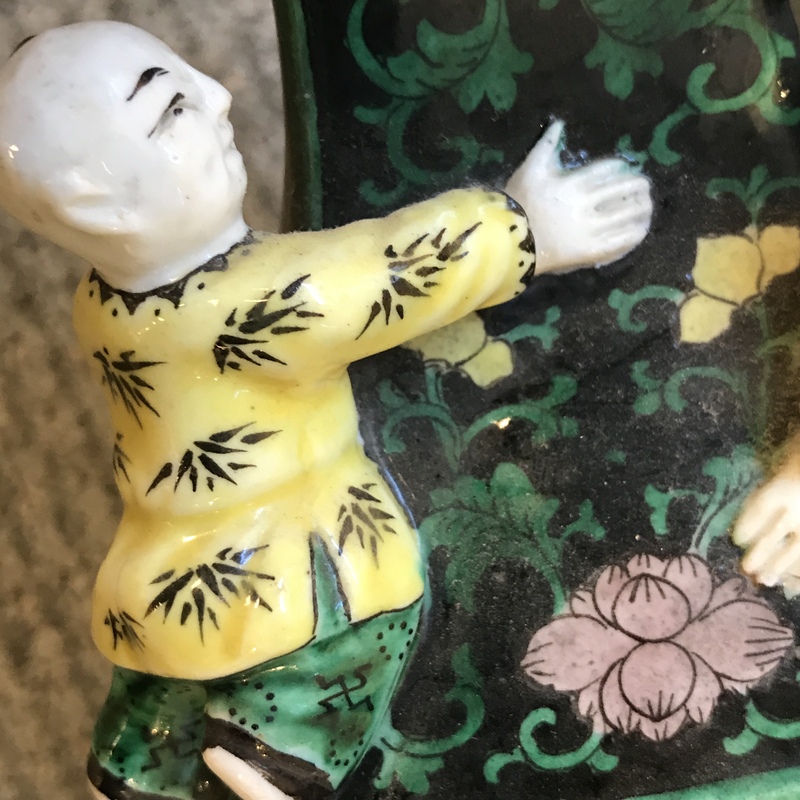 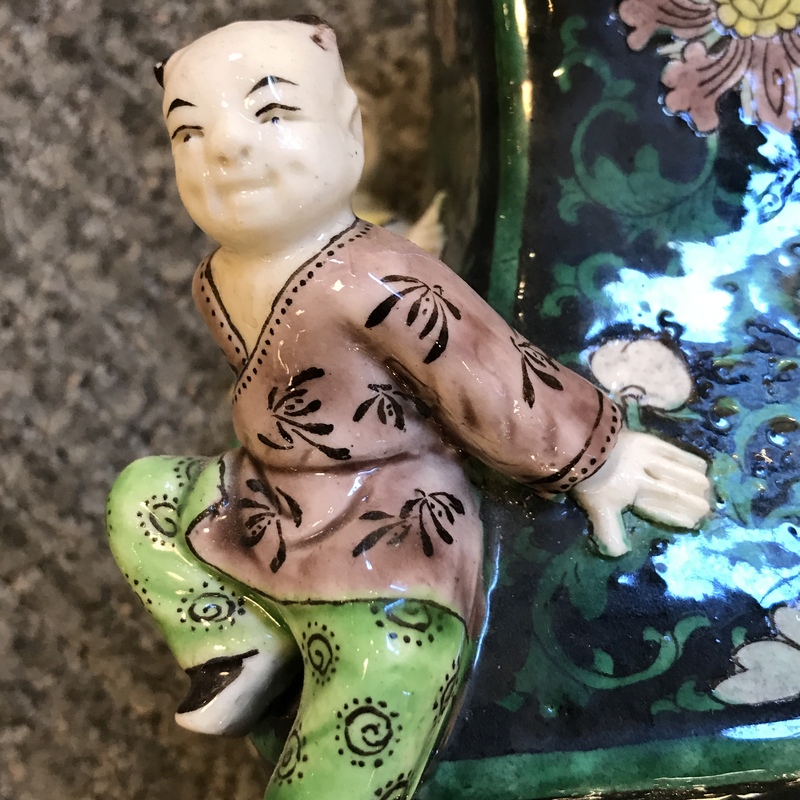 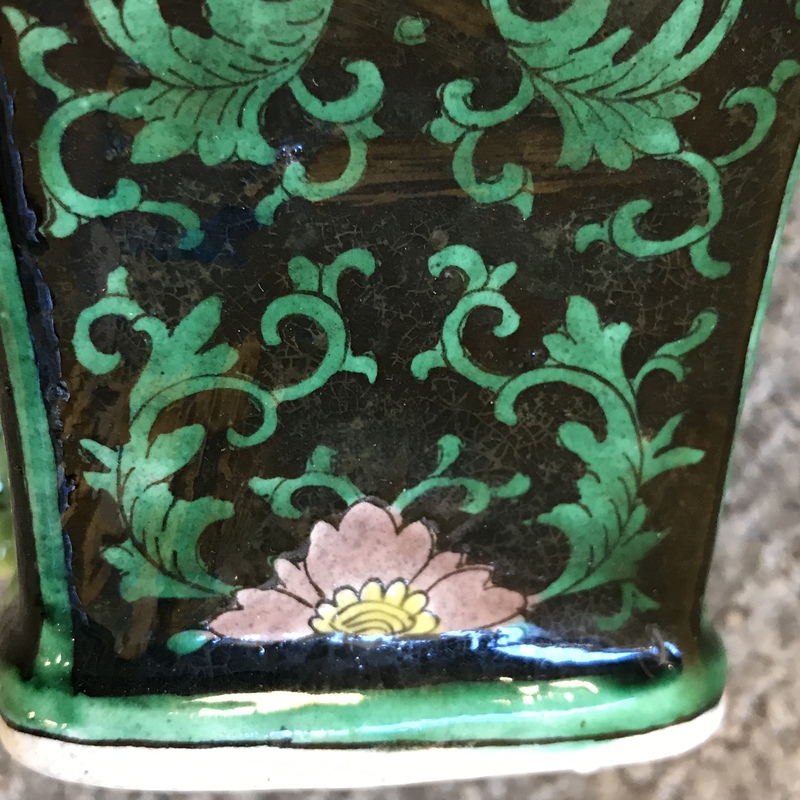 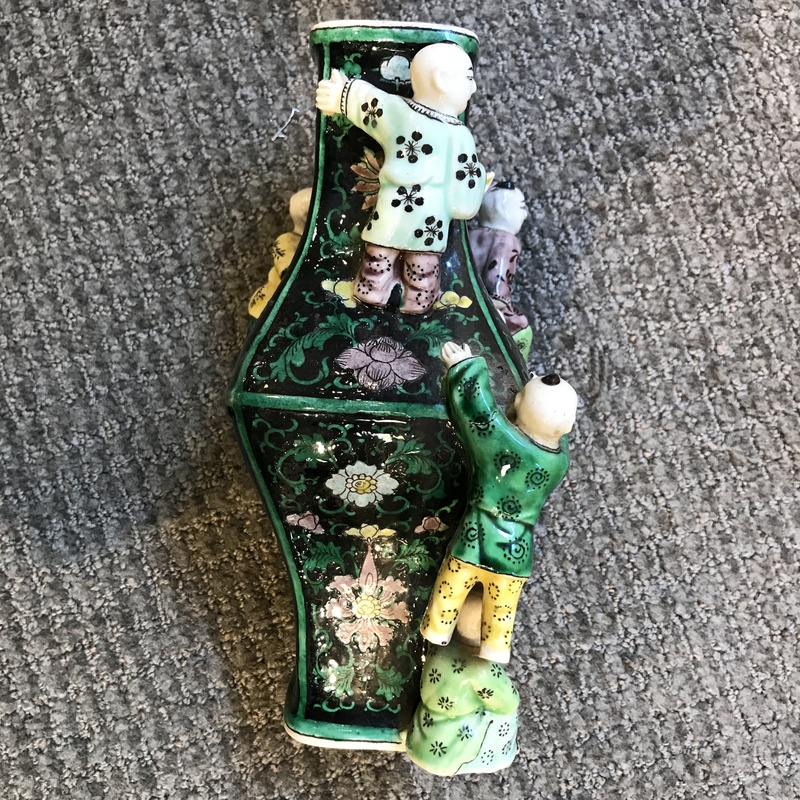 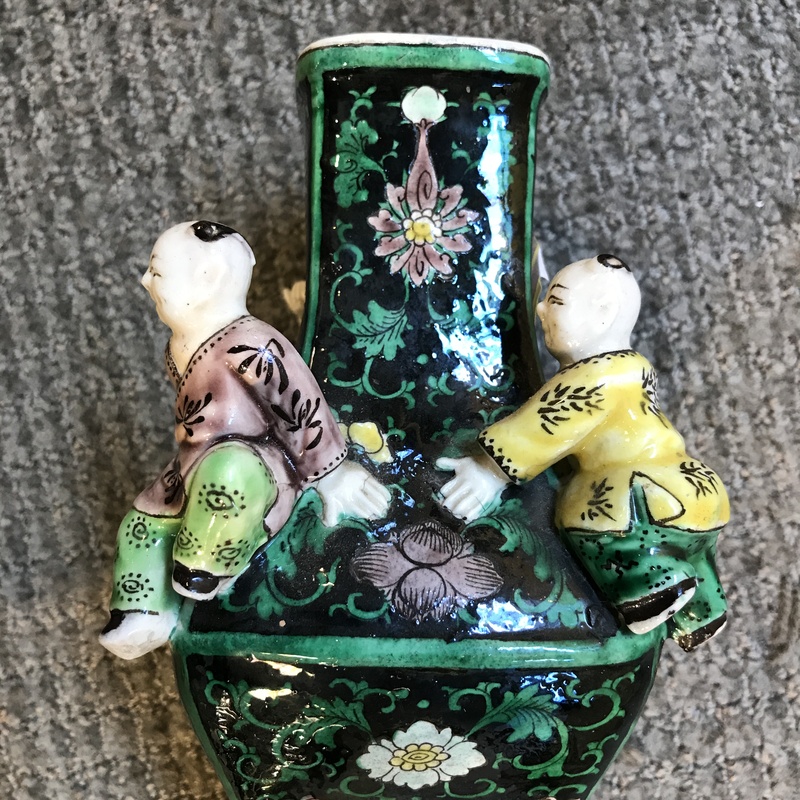 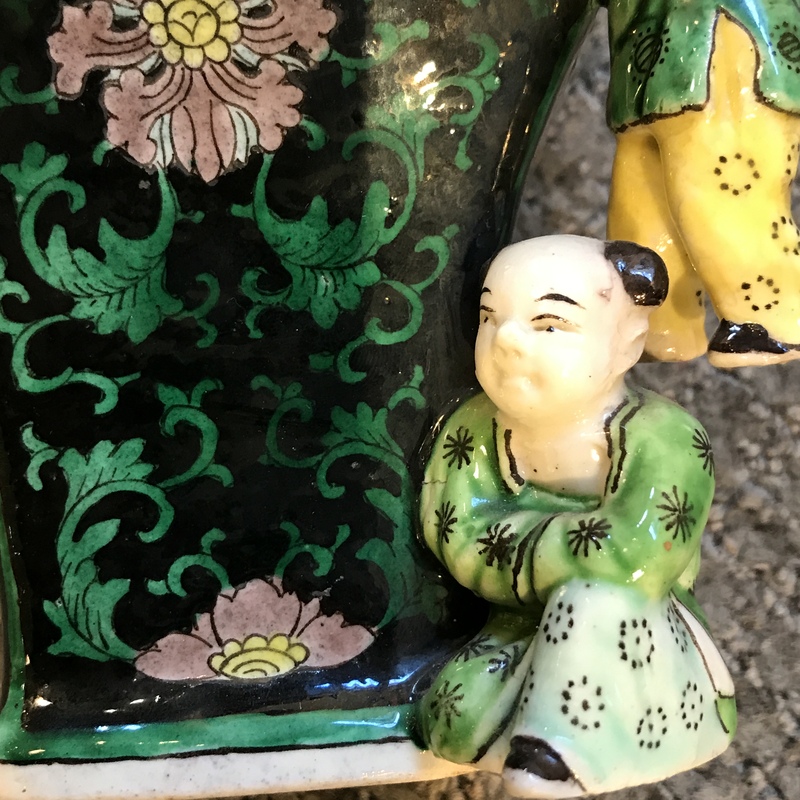 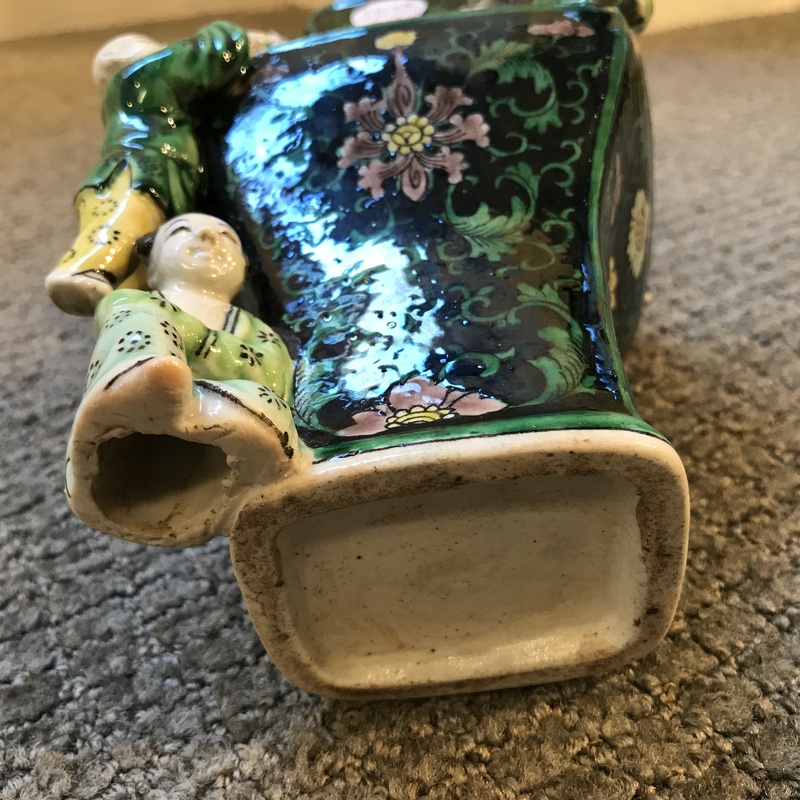 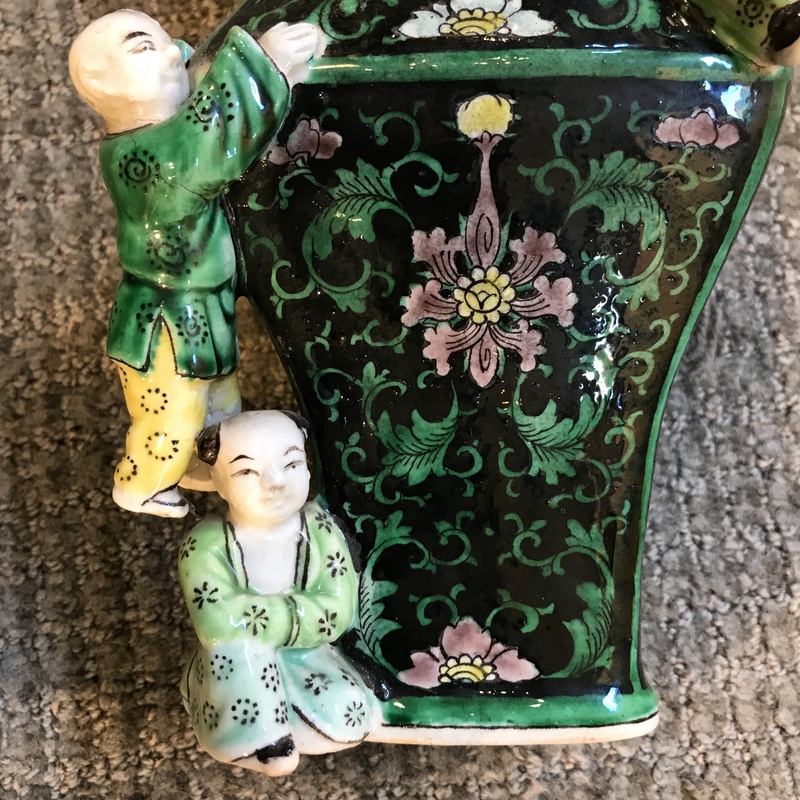 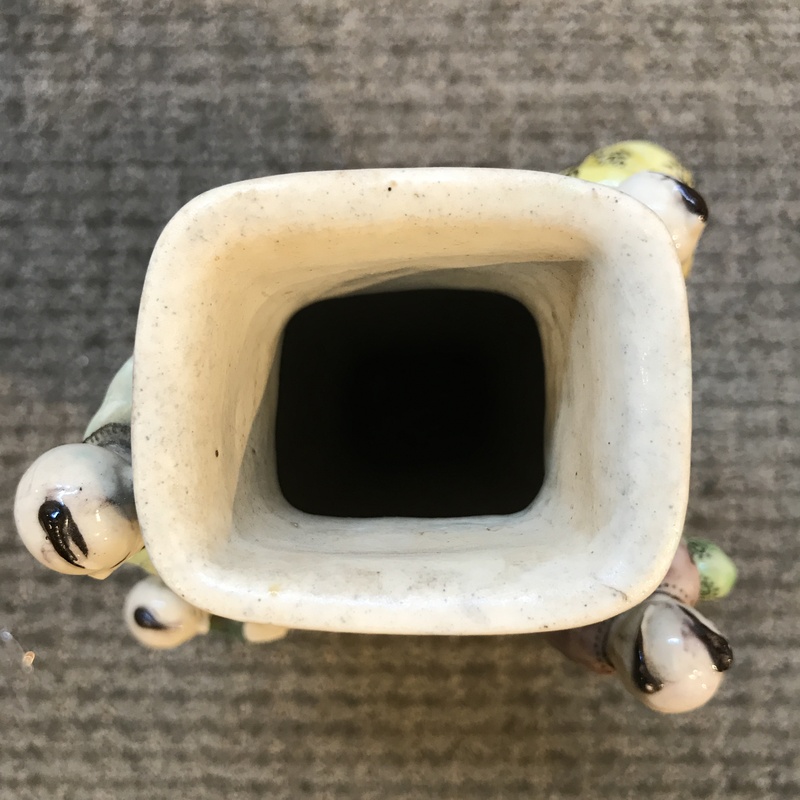 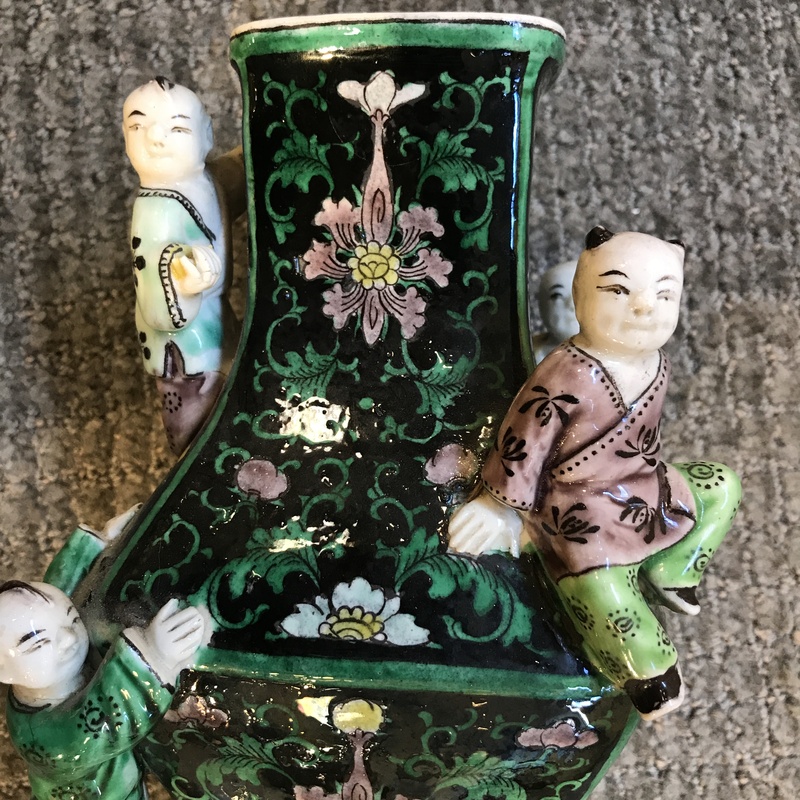 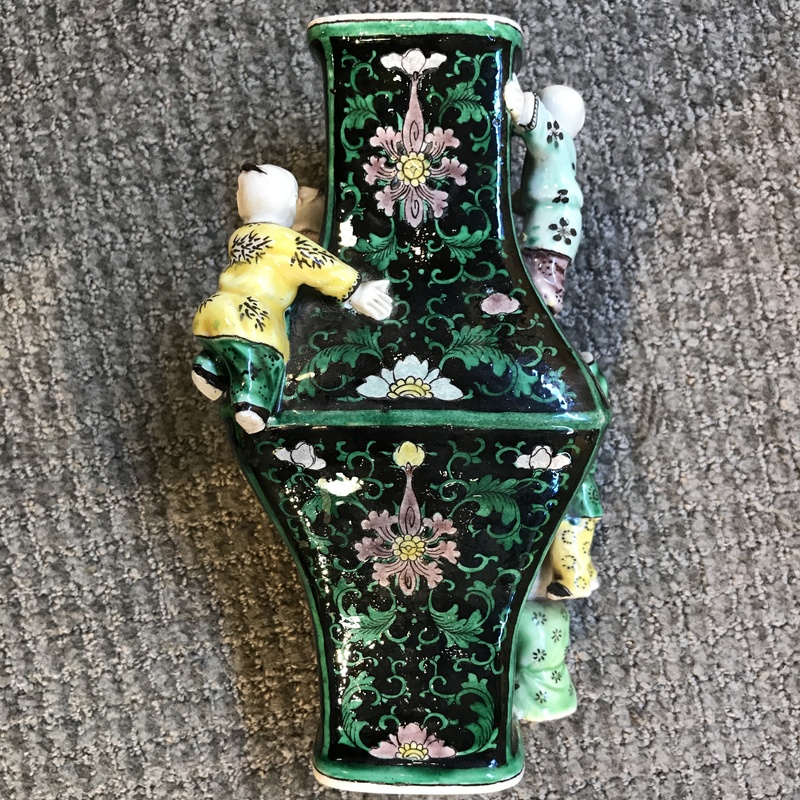 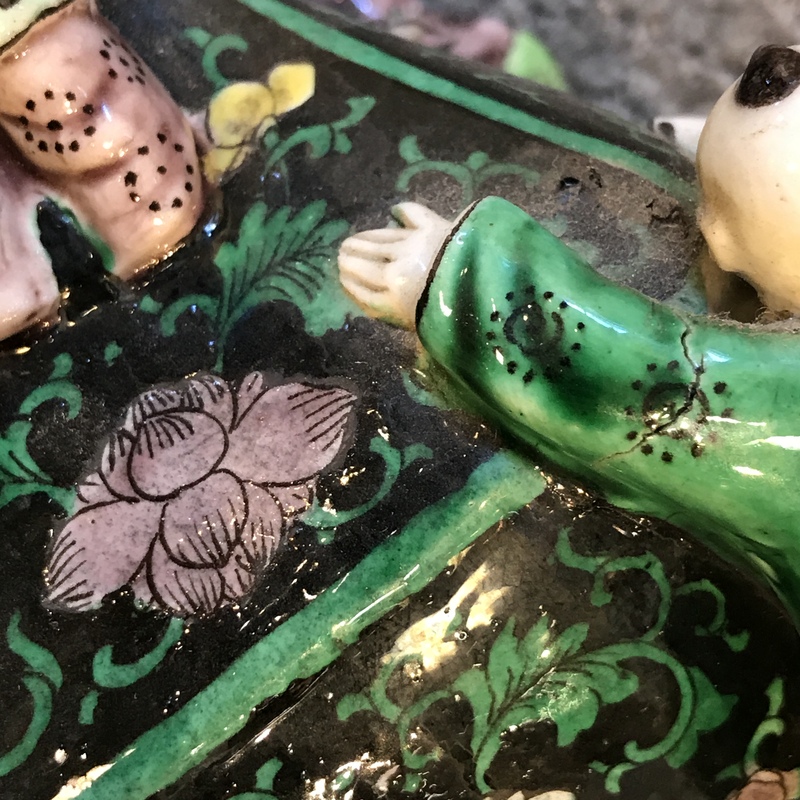 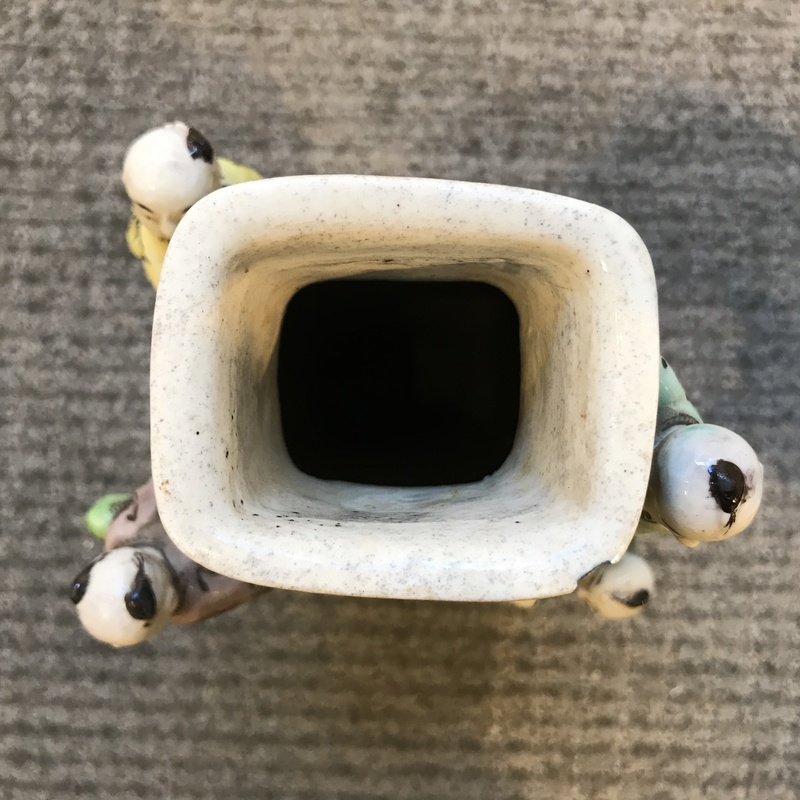 Pair of Famille Noir "Five Boys" Vases, China, late 19th century, with angularly bulged belly, rectangular mouth and foot, decorated with lotus scrolls in green and aubergine, ht. 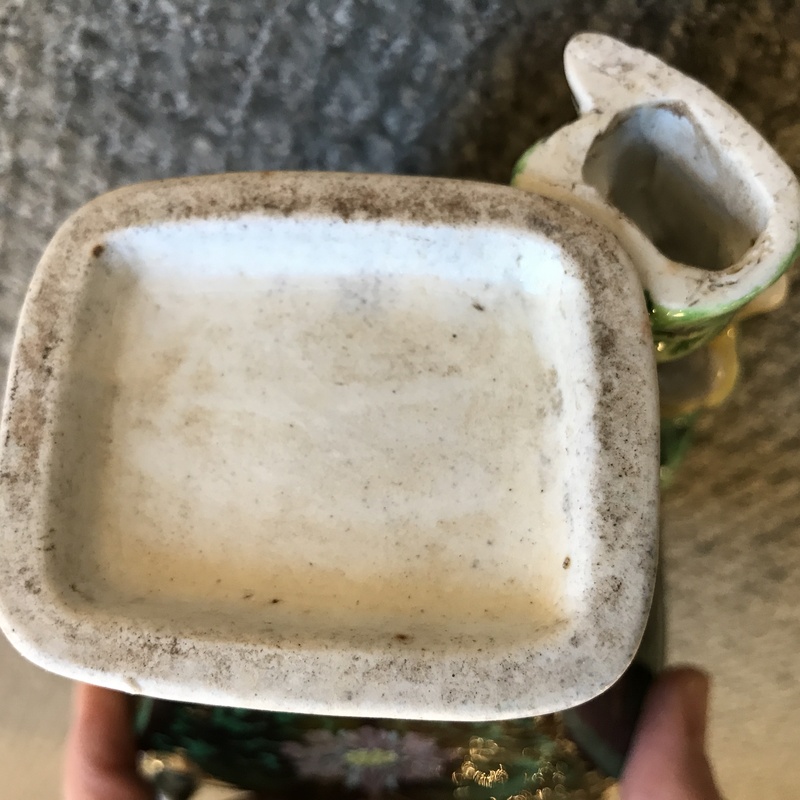 8 3/8 in. 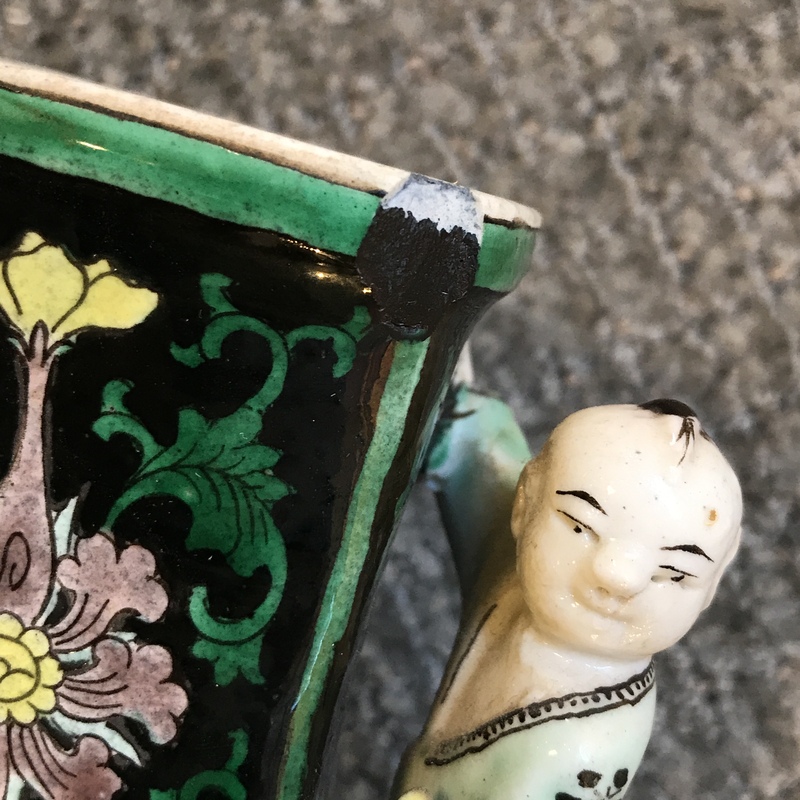 one with a chip to a corner of the mouth rim, surface dirt, glazing flaws with pockmarks and bumps.